Revision and increase in the ceiling under Gratuity Act has been an important demand of the Central Trade Unions. It was one of the demands under the common charter. On 2-9-2015 and 2-9-2016, entire working class went on strike on this common charter as decided by the National Trade Union Convention. More 15 crore workers went on strike. 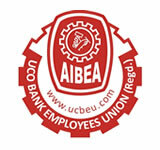 We are proud that AIBEA and AIBOA joined this strike call. It could not be observed as UFBU strike because some of the unions did not agree to join these strikes. But the demand was included in the UFBU strike on 28-2-2017 and 22-8-2017. As a result of these massive strike actions by the working class, the Government agreed to increase the ceiling to Rs. 20 lacs. However, this required necessary amendment to the Gratuity Act and approved by the Parliament. Accordingly, the Government brought the Bill but it could not be passed in the last leg of the Parliament session. Now the Bill has been approved by both the Houses of Parliament. As per the amendment, the Government has been empowered to issue Notifications to revise the Gratuity amount ceiling under the Act instead of approaching the Parliament every time for revision in the amount. We are happy that the Bill as approved by the Parliament has been given accent by the President of India and today the Gazette notification to this effect has been issued. We are further happy to inform that based on this amendment, the Ministry of Labour has issued their Notification revising and increasing the ceiling to Rs. 20 lacs with effect from 29-3-2018. Hence for all bank employees and officers retiring from the Bank’s service from today (29-3-2018), their Gratuity eligibility will be calculated under (i) BPS/OSR (without ceiling) and also under the (ii) amended provisions of the Gratuity Act ( with a max. of Rs. 20 lacs) and the higher of the two shall be payable.